Join fellow Real Bread Campaign supporters and friends on the evening of Tuesday 18 June at Cafe St Honoré for a farinaceous fundraising feast! Following the success of BATCH events in Somerset and London in 2018, the Campaign is bringing together another batch of breadheads at Neil Forbes’ award-winning eatery. Places are strictly limited to just 40 companions, who’ll enjoy a three-course meal crafted by Neil’s team to showcase seasonal ingredients and Real Bread as the monarch of the table. Neil Forbes: Chef director of our hosts, Cafe St Honoré, presenter of BBC Radio Scotland’s The Kitchen Café and columnist for The Scotsman. 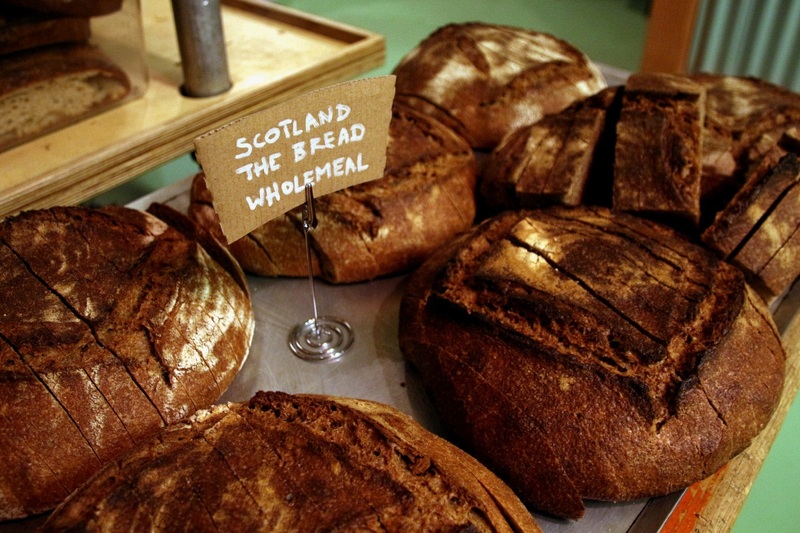 Andrew Whitley: Author of Bread Matters and co-founder of both Scotland the Bread and the Real Bread Campaign, Andrew needs no further introduction to lovers of delicious, additive-free, long-fermented, locally-produced loaves. …with plenty of time for companions to network while they nibble. Prices include the three-course set menu, with a share of the proceeds going to help fund the charity Sustain’s work running the Real Bread Campaign.